This morning, EU Member States gave the copyright directive the final green light, closing over two years of legislative process and hundreds of hours of debates. IMPALA’s Executive Chair Helen Smith commented: "It was a long road and we would like to thank everyone who contributed to the discussion. 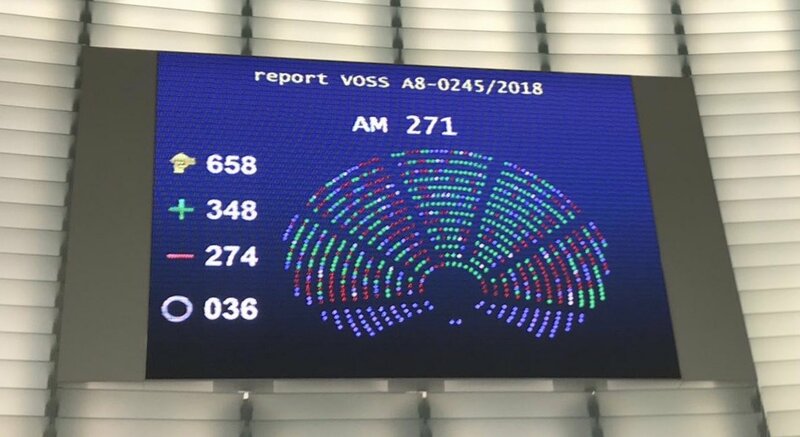 As a result, we now have a balanced text that sets a precedent for the rest of the world to follow, by putting citizens and creators at the heart of the reform and introducing clear rules for online platforms". Smith continued: “By adopting this landmark text, the EU has proved itself a leader in terms of delivering a fair, open and sustainable internet. This text clarifies the position of platforms, building on European case law. It is a first of its kind, and sets an example for other countries across the globe." IMPALA and its members will now focus on the implementation of the directive at national level. As well as clarifying the position of platforms, the directive includes provisions for performers and authors, which complement the WIN Digital Deals Declaration. A host of other reforms are also included such as a new right for newspaper publishers and new exceptions to allow text and data mining. IMPALA was established in April 2000 to represent European independent music companies. 99% of Europe’s music companies are SMEs. Known as the “independents”, they are world leaders in terms of innovation and discovering new music and artists - they produce more than 80% of all new releases and account for 80% of the sector's jobs. IMPALA's mission is to grow the independent music sector, return more value to artists, promote cultural diversity and entrepreneurship, improve political access and modernise perceptions of the music sector.